Natasha will be traveling THROUGH TIME to bring you book reviews of great books, from the past and the future. This review comes from the FUTURE, as the book won't be released until September 8! The Magician's Elephant begins as a rather dark, heart-wrenching story. It reads almost like a fable or fairy tale. The book follows ten-year-old Peter, orphaned and entrusted to an aging soldier. Moving through the town of Baltese, Peter encounters many characters with lives filled with tragedy. Even the town itself is enshrouded in a wintry darkness. 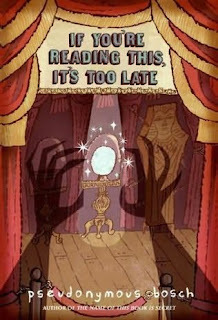 Fans of A Series of Unfortunate Events will appreciate the dark and pseudo-Victorian tone of the book. 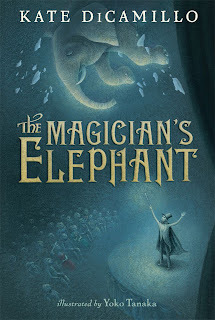 And of all of DiCamillo's previous works, The Magician's Elephant probably most evokes The Miraculous Journey of Edward Tulane, with themes of fate enlivened by promises and love. Overall a fairly quick but serious and fairy-tale-like read that anyone from eight or nine up could enjoy. Wow! Episode twenty already? Where does the time go? Summer's nearly over, but that doesn't make me any less inclined to go shopping--so here are my picks for this week. Museum Frames by Decor Craft Inc. I'm sure I wasn't the only child who drew dozens upon dozens of pictures and hung them up in my room, and then charged my parents money to come in and look at them. This giant sticky-note pad with pre-printed museum frames on each page is the perfect accessory for any such bedroom museum or art sale! Just create your art inside of the frame and stick it up on the wall, no tape or paperclips or string needed. It's perfect for any young artist who likes their work to be prominently displayed--including me! When Cass and Max-Ernest, two fearless young detectives, stumble upon a dangerous mystery involving a box of smelly vials, anything could happen--some things that are even too secret for the narrator to reveal. When I came in and realized that the sequel had come out in paperback, I couldn't resist! I'm psyched to read about the further adventures of Cass and Max-Ernest. I'm also delighted to report that a third installment, This Book Is Not Good For You, came out in hardcover today! So check out our New Titles racks in the Chapter Book Room for all the excitement. Ok, that's all for now--see you next time! Our display of art contest winners has received much praise and appreciation these past few months - we're extremely proud of the talented artists who submitted! We will continue the display through September, and any artist who entered may pick up their piece at any point - but should take their picture next to the display before they go! Thanks for submitting, and we hope to see your masterpieces again next spring. Probably the most exciting thing I've seen all week. And it's only Tuesday. I remember seeing briefly a link from bookshelves of doom blog-wonderland to Diana Peterfreund's blog, about the trials and rewards of finding perfect cover art. (This was before the Liar cover explosion). But even that hilarious stumbled upon moment couldn't have prepared me for seeing this new book on the shelf. Are you ready? Isn't that just GREAT? Peterfreund says - after numerous tries - they finally came up with a perfect Graceling-meets-Uglies cover, and I see a little bit The Hero and the Crown...but maybe that's because I think it's a rare female-protagonist fantasy that is as incredible as Aerin's story (middle school biases never die). Beyond the stunning cover is an even more tantalizing premise: Killer unicorns. That's all I'm going to say. And that's all you really need, right? I'm sold! I've been in a bit of a reading slump, working through grown-up books because I just couldn't bring myself to try out one of the many vampire/werewolf/Faustian books out there now - more because of my finicky mood, rather than any judgment on the quality of those unread books. (Speaking of, check out the new TV-show tie-in paperbacks of The Vampire Diaries, and, yes, in fact, there is Another Faust, co-written by Daniel and Dina Nayeri). But give me a strong-willed girl character, humor, adventure, romance, (that's not a tall order yet, is it? )...and killer unicorns, and I'm there! I'll give a better review once I've actually read it - but just look at that cover. Read it along with me. 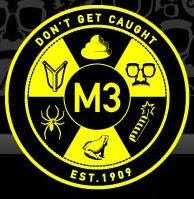 Don't forget -- today SIR JOHN HARGRAVE, Professor of Pranking at the prestigious M3 Institute and author of the mischievous manifesto The Mischief Maker's Manual, will be here to sign his book and demo several of the pranks. Here's a sneak preview of today's event! What's the most successful prank on your track record? The Michael Jackson Prank, where we hired an actor to play Michael Jackson and had him walk around Boston and fool everyone for a night, was one of our best. "Fake Michael" even made the front page of the Boston newspapers the next morning! The Senator Prank was another fun one, where we sent prank letters to all 100 U.S. Senators, asking for their favorite joke. We got a lot of responses, including jokes from John Kerry and John McCain! What's the funniest prank someone's played on you -- and are you paranoid that you'll get pranked all the time now that you've published The Mischief Maker's Manual? I was pranked by a sixteen year-old when I published my first book. I put a note on my Web site asking for "celebrity reviewers," or famous people who would be willing to read the book and write reviews. A sixteen year-old from England pretended to be a famous comedian named Eric Idle, and actually had me believing it was Eric Idle, through several rounds of e-mail. A year later, he wrote up a funny story about how he pranked me -- which we published on the Web site! Who's your biggest inspiration, your prankster role model? A man by the name of Alan Abel is a big inspiration. He pulled off many successful hoaxes in the past, such as a fake campaign to "put clothes on animals" -- which many news shows reported as being true, not realizing it was a joke! His daughter recently made a funny movie about his life called "Abel Raises Cain." Do you have a dream prank? Something you'd love to do but haven't been able to pull off yet? Someday I'd love to do a prank in space. Can you imagine what would be possible in zero-gravity? Sir John's young assistant (and son) Isaac was also kind enough to answer a few questions about the making of the book and life with/as a mischief maker! What's it like to have a dad who's a prankster? It's fun! We tested a lot of the pranks in the book together. One of them is called the "Power Launcher," which is a HUGE water balloon catapult. It was fun to build that, then launch water balloons and see how far they would go. The longest one shot out 100 feet! You helped your dad practice the pranks in the book -- did you get to make up any pranks yourself? Yes! After the book was finished, I made up a prank called "Sticky Plate," which is easy to do. Take a big wad of "Sticky Tack" (the kind you use to hang posters), and stick it to a plate, then stick the other side to the table. I pulled this one on my dad, and when he went to clean off the table after breakfast, he couldn't pick up the plate! Thanks to Sir John and Isaac for their answers! Come on by at 1 pm to get your prank on -- Sir John and Isaac have serious mischief up their sleeves. We're bracing ourselves for an onslaught of mayhem! 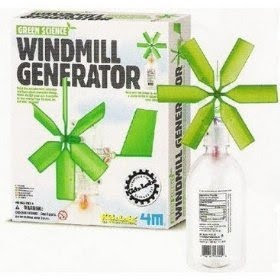 Sign up for a prank-of-the-month mailing list and send in your OWN pranks at www.mischiefmakersmanual.com. You know, every time I write one of these posts, I wonder if I'll ever run out of cool new stuff to want--but I think it's impossible. There's always something exciting! So here are two more awesome items that I want to buy. Science has never been my strong point, but even I get excited about robots! If you're like me and wouldn't have the slightest idea how to build a robot from scratch, this kit is a perfect solution. 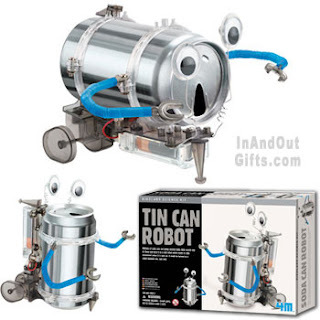 We have a few different kinds of robots in stock, but I like this one best because it's a fun way to recycle a tin can. I can just imagine the uproar if I sent a Cherry Coke Zero robot after my wary and generally disapproving pet rabbit. I can't wait to try it! The only thing that could be better than nesting dolls is a set of nesting doll bags. Three sweet, vivid doll-shaped zipper bags are plastic-covered to keep them from getting dirty, and fit one inside the other for easy storage. They'd make perfect travel companions, easy to find in the depths of a bottomless bag--the biggest one even has a removable wrist strap for easy carrying, and it could be clipped onto the zippers of either of the smaller bags too, or onto all three together to keep them from getting separated while you're in transit. I'm so smitten with them that I got a set for my mother for her birthday, and now I need one of my own, because they're just TOO CUTE! Ahh, another week blogged, and ever so slowly the terrible heat of August is waning. See you next time! Maybe there won't actually be broomsticks at most of these events, but there will certainly be the best brand of bedlam: we have SO many wonderful events coming up, you may just want to camp out here! I hope you've heard already, but if not, this Sunday August 23rd, Sir John Hargrave will demonstrate some of his highest order pranks from his Mischief Maker's Manual. Class will start at 1 pm. We will also have musician Charlie Hope playing two acoustic sets, one to kick off the event and another later in the afternoon. In my humble opinion, her Train Song has the best vocal imitation of a train, hands down. In addition to great music and these talented authors reading, signing books, and leading activities, we will also have on-going activities led by our own staff. Our book-binder staffer, Anne, will demonstrate the basics of making a book. A few other staff members are deciding on what their special activities will be, so expect some fun surprises! 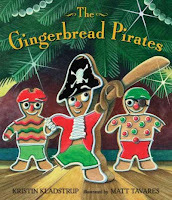 We are currently planning an event for November, as well, with new-on-the-scene author/illustrator Alex Beard. The date and specifics will be announced shortly. Thanks to you, we've won Nickelodeon and GoCityKids' Parents' Pick for Best Boston Bookstore! We're so proud and thrilled! Thank you so much! We promise to continue to bring you the best quality books and toys, as well as the up-coming and popular children's book folks you want to see! As anyone who attended our Halloween costume party last year can attest, the staff here loves all kinds of modern and classic picture books: characters as diverse as Fancy Nancy and Eloise to Christopher Robin and Viola Swamp were represented, and our staff picks range from Jon Scieszka and Ruth Krauss to Wanda Gag and Anna Dewdney. While no one here is debating the deserved popularity of such authors, there are times when we, as readers and general lovers of the picture book as a medium itself, want something a little...different. Something beyond the typical 3 to 7 age category or the princess/truck/new baby/animal story genre. In short, we want a picture book - big, colorful, with a great story - for grown-ups. If you've ever had a similar feeling, here we've collected some of our newest and favorite "picture" books that appeal as much to grown-ups as kids. My first pick takes the cake for most fun title: Alphabeasties and Other Amazing Types, created by graphic designers Sharon Werner and Sarah Forss. This imaginative book goes beyond the ABCs: each spread features an alliterative animal made up of various styles and sizes of its letter. Along with these creative pictures and flaps, each letter showcases its permutations of fonts with whimsical interpretations along the lines of "this 'a' wears a hood". Like the wordless picture feast Wonder Bear by Tao Nyeu, Alphabeasties is a great gift for preschoolers and designers alike. Another design giant, Andrew Zuckerman, gives us his take on an alphabet book with Creature ABC. Each letter gets double treatment with capital and lowercase pages with the sumptuous creature photographs so detailed they could be textured. 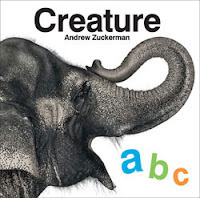 For the committed animal (or art) lover, pair this picture book with Zuckerman's Creature Floor Puzzles, or for the preschool biologist try Discovering Nature's Alphabet by Krystina Castella. For the reader who likes their creatures more fantastic and dangerous than even alligators and vultures, Bobbi Katz and illustrator Adam McCauley give us Monsterologist: A Memoir in Rhyme. In the popular "scrapbook" style of Candlewick's Ologies and the Flower Fairies books, this entertaining guide to magical and mythological beings is packed with letters, interviews and dire warnings in verse. (This book's arrival has led to an array of jests on my behalf on how I should finally be able to tell Godzilla and King Kong apart). There's no flight of fantasy, no homage to the power of story-telling quite like Bambert's Book of Missing Stories by Reinhardt Jung, translated by Anthea Bell, and illustrated by the prolific Emma Chichester Clark. Lonely protagonist Bambert sends his stories out into the world tied to hot air balloons to discover their true setting and characters. The stories that return are as beautiful and poignant as Bambert and his neighbor's blossoming friendship. This book, though dissimilar in tone, is comparable to Shaun Tan's Tales from Outer Suburbia: not quite chapter book, not quite graphic novel, but definitely not to be missed. Another foreign import of note is Collector of Moments by German author and illustrator Quint Buchholz (sound familiar? You may know him from his prints), translated by Peter Neumeyer. A young boy befriends the mysterious artist upstairs - but is never allowed to see his pictures until the artist moves away. The paintings, rendered as full or double page spreads, take the boy on imaginative journeys that turn the familiar into the surreal: in one particular picture, morning comes to a house by the sea with a package, as big as the house itself, on its front lawn. This book is actually out of print, so come for our last copy while you can!